As a woman owned and locally grown company, we are proud to have our booch in the hands of many curious, and gracious, booch drinkers. 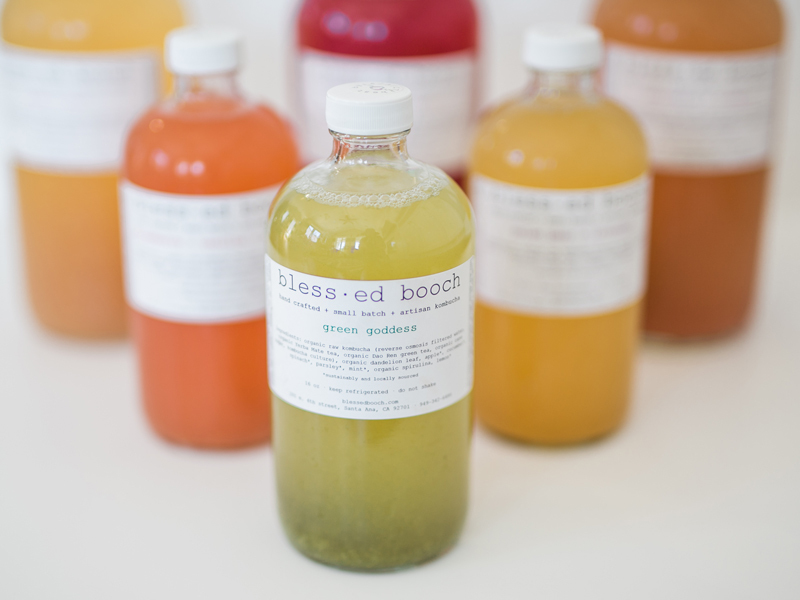 So, to all our bless·ed booch babes out there...thank you. We hope your tummies are tingling and your immune system's are singing thanks to all the amazing benefits kombucha has to offer. 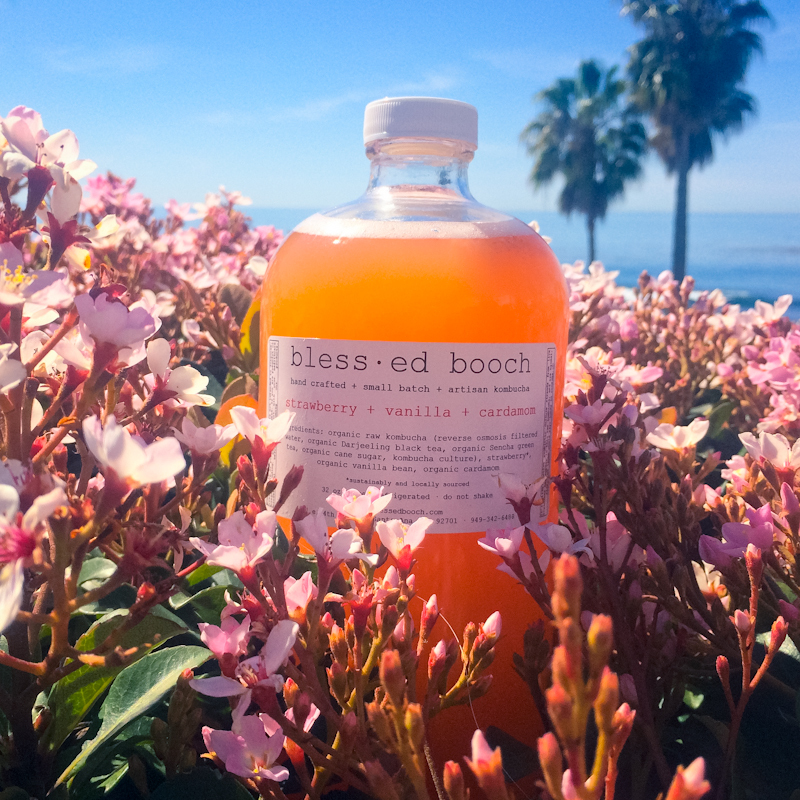 The making of what would become bless·ed booch began in a small home kitchen in Laguna Beach, CA. 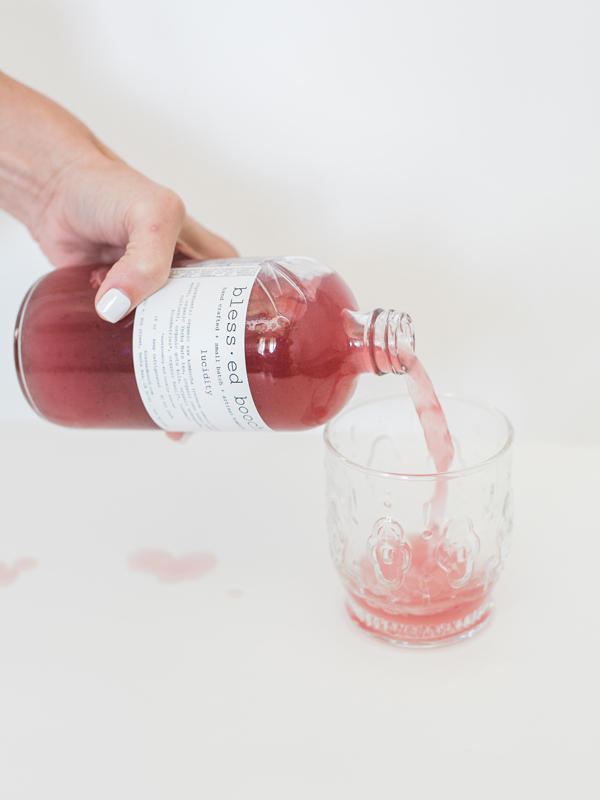 Founder, Christy Rumbaugh, had an intense passion and belief in the healing powers of kombucha and began experimenting with home brewing “booch” in the spring of 2015. After the overwhelming positive feedback from sharing her brew with family and friends, a small one gallon batch soon turned into four, eight, and then fifteen. 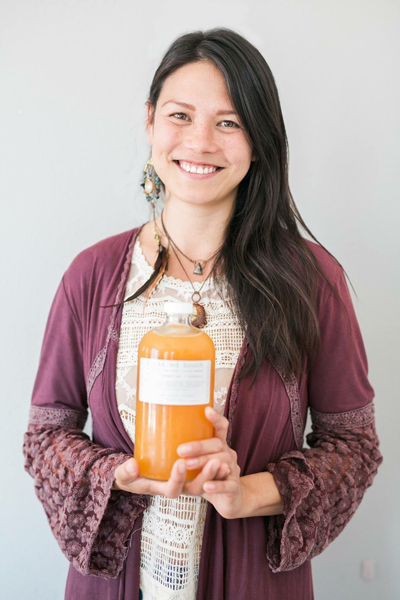 The light bulb finally went off in October of 2015, when she felt the universe seemed to be urging her to forge a new path toward using her “booch” to make a positive impact on the world. 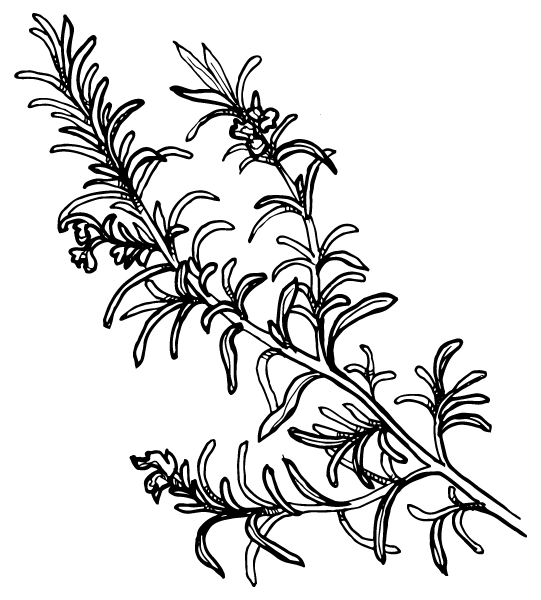 bless·ed booch was officially born in September of 2015, and is produced in a commercial facility in Orange County, CA. Kombucha, or "booch", is produced by fermenting sweet tea with a symbiotic culture of bacteria and yeast (aka SCOBY). During the fermentation period, the SCOBY metabolizes the sugar, caffeine and tannins in the tea, creating fizzy bubbles and transforming the sweet tea into a living health elixir. Kombucha originated 2000 years ago in China, and was known as “The Tea of Immortality”. It contains B vitamins, amino acids, antioxidants and probiotics which restore balance to your body, aiding in digestion, immunity, and detoxification. 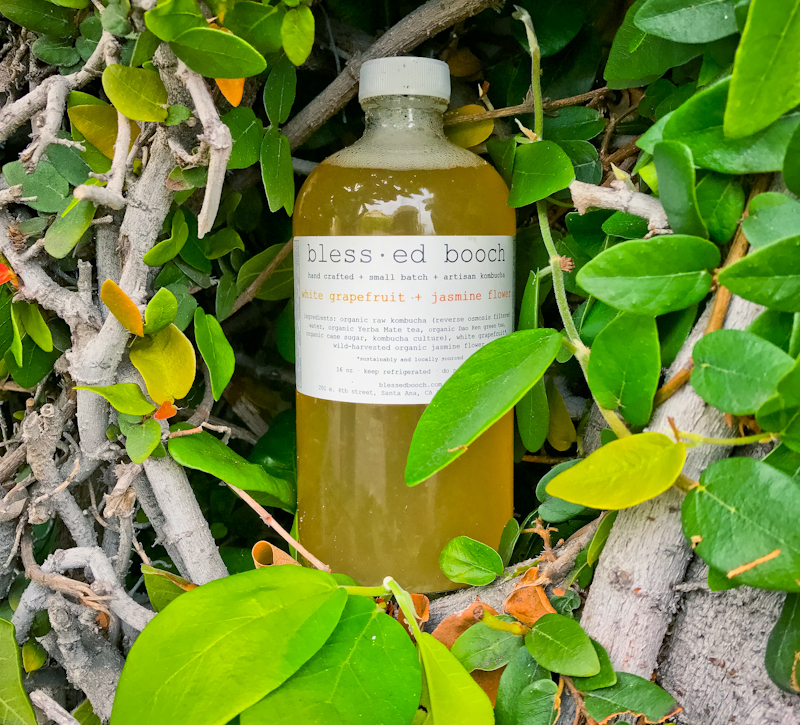 bless·ed booch is brewed in small batch 1 gallon glass vessels. The base of our brew is made up of organic teas and cane sugar, and reverse osmosis filtered water. Although our kombucha is full flavored and sweet on the palate, we ferment our brew to a very low pH, leaving only about 2 grams of residual sugar left in each 16 oz bottle. 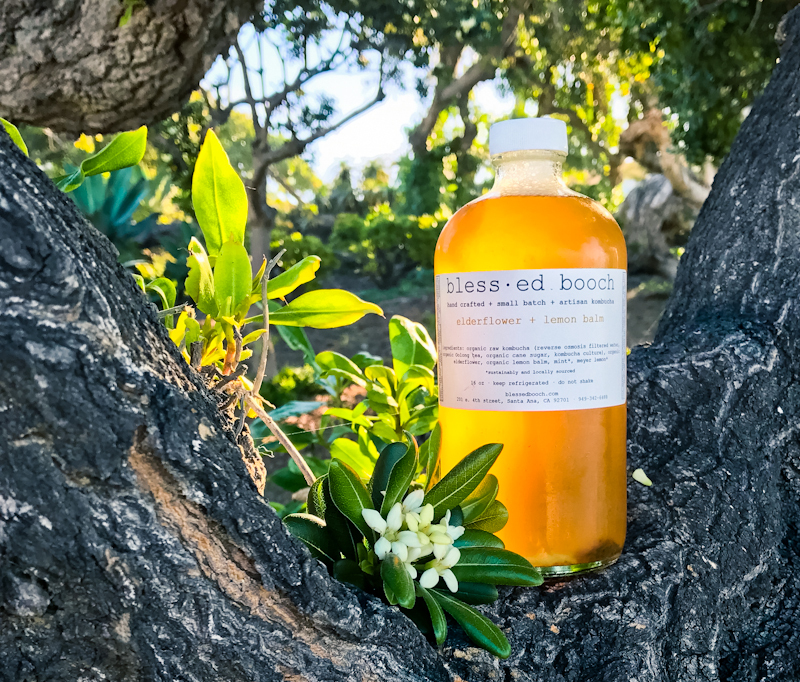 Our booch is “farm to bottle,” meaning the flavors are inspired by the local, seasonal offerings from our network of small, family, and non-profit farms. We work closely with these farmers to bring you a product that we describe as – better than organic, because although they may not have the monetary resources to provide the USDA Organic seal, they use old world practices and are located away from commercial farmland, protecting against cross pollination from GMO and pesticide using farms. We also give back to the earth through these farms by contributing all of our excess SCOBY, tea leaves, sample cups, and organic waste to enrich their compost heaps, which in turn grows the produce that we put back into our booch. It’s a harmonious, full circle relationship! 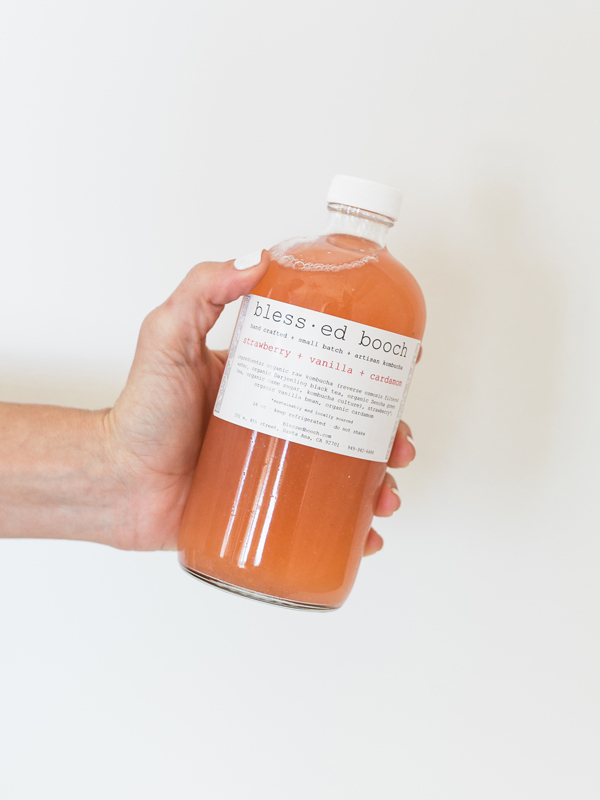 We believe in the healing powers of kombucha and see it as “medicine” (the most delicious medicine you will ever have!). Our apothecary of infusions include an array of superfoods and healing herbs to enhance the beneficial properties of the booch. Our mission and intention is to make a positive impact on the world by promoting health, wellness and overall happiness for an elevated and expanded consciousness, inspiring people to connect with the environment, each other and their inner selves. We have chosen to use kombucha as the vehicle to make our dreams and intentions a reality, due to its inherent symbiotic nature of growth, regeneration, and sharing. The colony of microorganisms that make up the ‘mother’ are dependent on each other for survival. It thrives if it is divided and shared, and its parts will regenerate and grow into new life forms that can then go on to share themselves. We want to emphasize the importance of a world where the earth and all of its inhabitants operate interdependently to reach the highest levels of happiness and harmony.